Although it seems pretty straightforward to set it up there are important concerns that you need to address and in this post I'm going to try to outline them so that you could take maximum advantage of the service. What makes Web Apps/Cloud Services option so appealing is that it integrates content upload task with your general deployment process. Your entire web application can be used as a source for content to be cached at CDN. Of course, it may not be a good idea to run your whole application through CDN as dynamic content will make it slower. What you really need CDN for is to bring static content closer to your users and offload additional traffic from your application server. Azure Blob Storage is the most flexible option because you can host your applications anywhere and only store the content you want to be served through CDN in Azure. However, it comes at increased maintenance cost as you will have to take care of uploading the content to Blob Storage. To keep the cost down you want to automate this process and make it part of your regular deployment. You can use a PowerShell script like this as a starting point. The script understands ASP.NET default project layout and will upload all files from 'Content' and 'Scripts' folders to Blob Storage. As you upload new versions of your static content you want CDN cache to throw away old versions and re-fetch new ones. Unfortunately there is no way you can reset the cache. Instead you want to address your resources in a versioned way so that new versions are cached independently. An alternative solution is to use query strings. 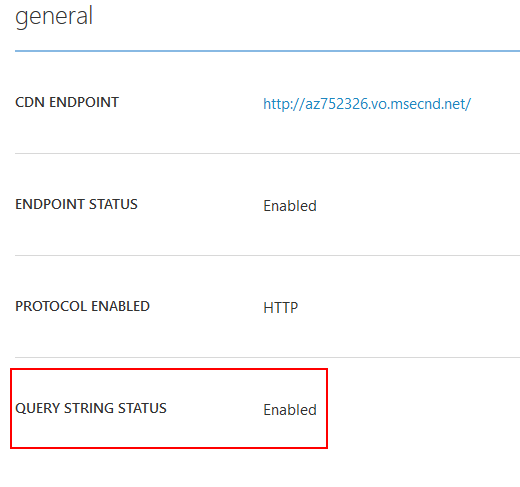 Azure CDN supports them but you need to explicitly enable this feature. When enabled requests for the same resource name but with different query strings will be cached separately. Notice the X-Cache header indicating that the CDN cache has actually been hit. Your stylesheets are likely to reference resources such a background images or fonts using relative URLs. You should be aware that fonts are not going to work when served from CDN (at least in IE and Firefox) out of the box. When loading a font these browsers will check the Access-Control-Allow-Origin header and if it's missing or is set to not allow your origin the browser won't actually use the font. You can specify just your domain or leave it as '*' to allow everyone to request the resource. Note that you are specifying an 'origin' here and it includes not only the domain name but also a schema as well as port number. 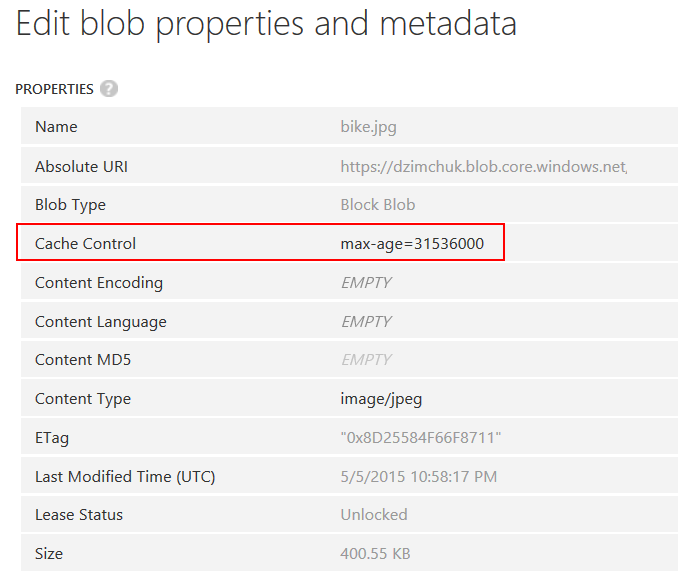 Azure Blob Storage does support CORS however you can't easily set it up on the portal. Instead you need to either use REST API or for example .NET client library to set the required properties on the storage service (see this post for an example). All but very simple sites will require SSL. 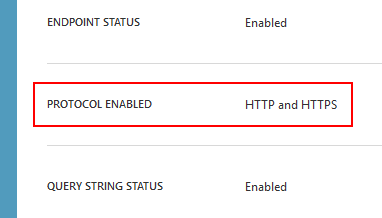 And it is not enabled in Azure CDN endpoints by default. I highly recommend you enable it right away when you set up an endpoint because provisioning it may take several hours and it will be that moment when you need it yesterday. These are great techniques to reduce the number of simultaneous requests to your application server as well as minimizing the size of the content to download. The great news is that both techniques get first class support if you use Web Apps or Cloud Services as your backing service. When using Azure Blob Storage it adds to that increased maintenance cost I was talking about. You will need to run these tasks at build time and properly package artifacts to be uploaded to Blob Storage. Browsers limit the number of simultaneous connections per domain name. To optimize loading of your pages you want to use different CDNs that host well-known client side frameworks and libraries. For example, my blog gets Bootstrap from MaxCDN and jQuery and fonts from Google Hosted Libraries. I use a single Azure CDN endpoint for the rest of my content. However, other sites may require much more static content and it will make sense to split their content over either multiple CDN endpoints or alternatively if you own a Domain and have access to DNS configuration you can set up CNAME records for several subdomains pointing to a single CDN endpoint.